Barracuda Studios is pleased to bring you this sneak peak of three of a number of new detail sets currently being readied for production. None are ready for sale yet. Please be a little patient, announcements will be forthcoming. More new product previews will be coming shortly. Hope these new detail sets catch your fancy! 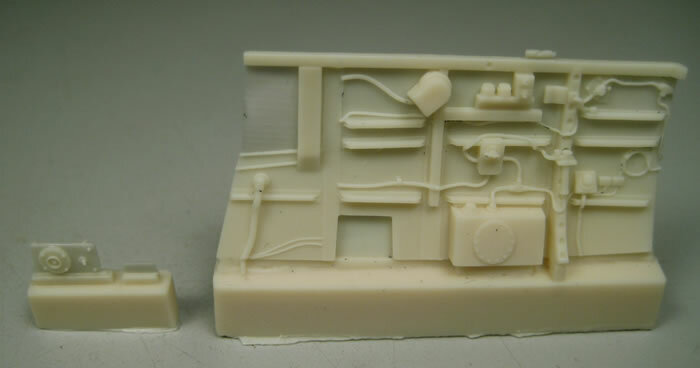 Designed for the Tamiya Spitfire VIII/IX/XVI to replace the kit lower sidewall. Also includes the missing remote contactor. Can be fit to other Spitfire kits as well. The new resin sidewall has been molded with all the complex plumbing of the windscreen de-icer system, as well as the oxygen line. A number of other details have been added including new stringers with hollowed out ends and additional electrical wiring. The remote contactor was fitted to all Spitfires until well into 1944. Full color detailed installation instructions round out this new set. This treaded tire was fitted to Australian Mk. V Spitfires, and any other Spitfire with 5 slot wheels that needed additional traction due to harsh operating conditions. This style of tread was referred to a Z-block, for the distinctive Z shaped tread blocks that wrapped onto the side walls.The tread pattern has been accurately depicted, including the narrow ribs that connected the blocks. 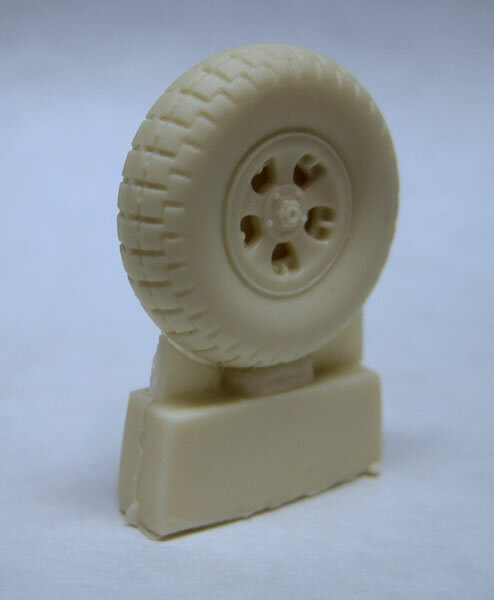 A great looking wheel that willset apart your Spitfire model. This treaded tire was fitted to Australian Mk. VIII Spitfires, and any other Spitfire with 4 slot wheels that needed additional traction due to harsh operating conditions. This style of tread was referred to a Z-block, for the distinctive Z shaped tread blocks that wrapped onto the side walls.The tread pattern has been accurately depicted, including the narrow ribs that connected the blocks. 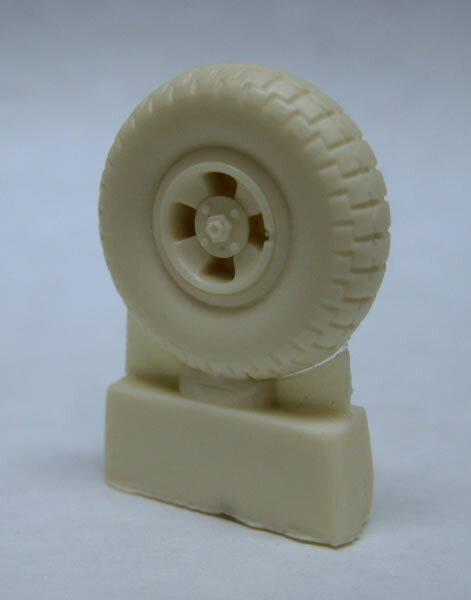 A great looking wheel that willset apart your Spitfire model.